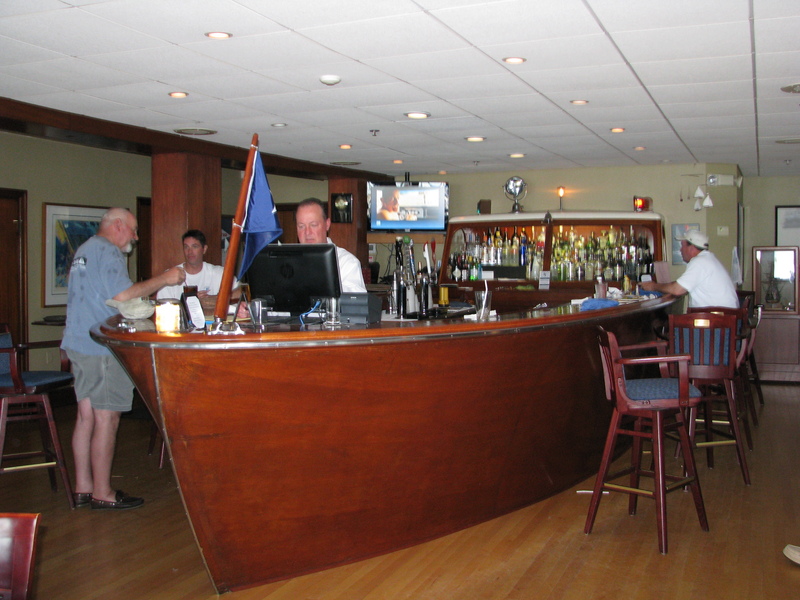 The bar at BYC is an old woody. Notice the windshield holds the liquors. The top of the bar is beautiful teak decks.